Never again have a bag that weighs too much! Web strap with buckle slides through the luggage handle for easy lifting and a quick weight measurement. The scale comes with one replaceable CR2023 battery. The lightweight 2 oz. 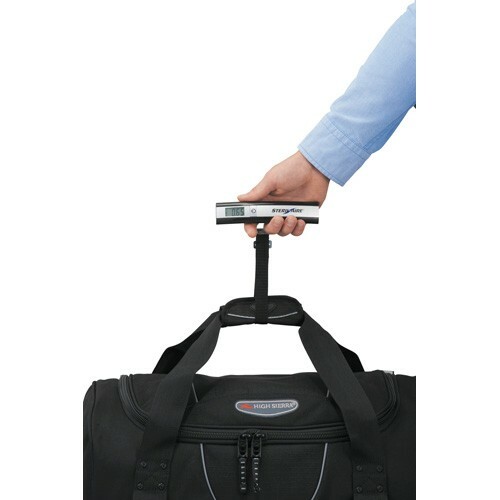 scale will easily travel with you without adding bulky weight to your luggage. 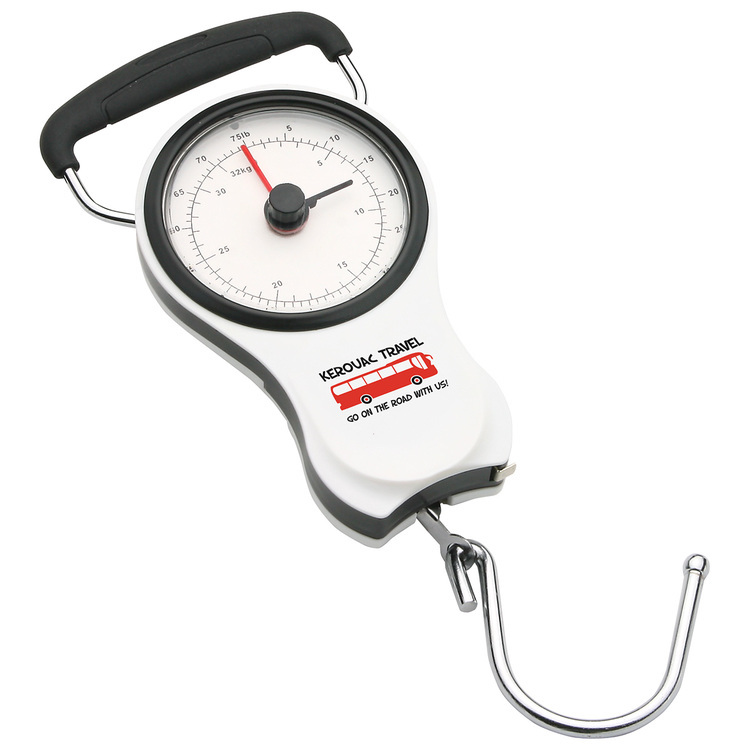 Measures in pounds or kilograms - you decide! Weighs up to 88 lbs./40kg. CE certified. 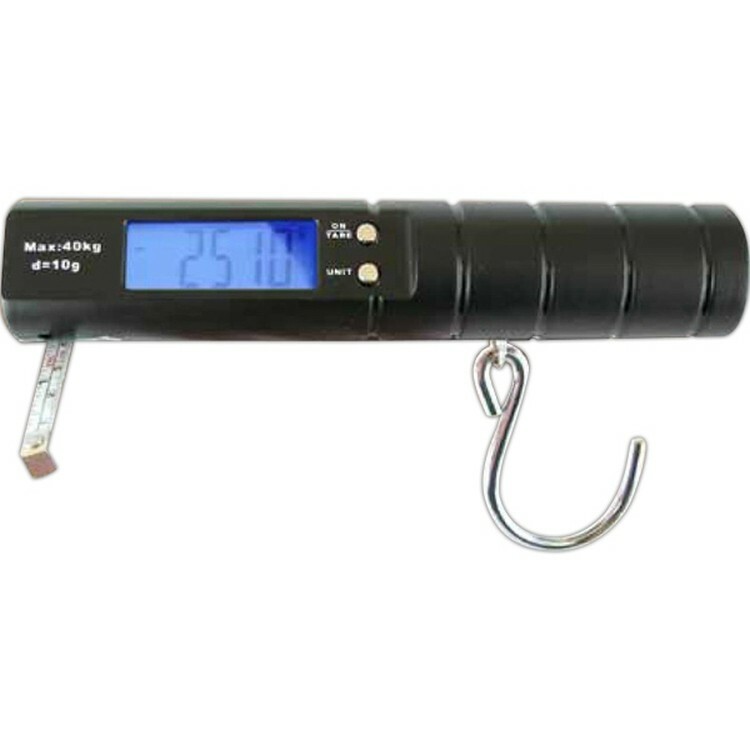 This handy luggage scale features a high precision strain gauge sensor system with measurement capabilities for grams, ounces, kilograms and pounds. The tape measure functionality allows you to double check your baggage size before you head back from vacation. 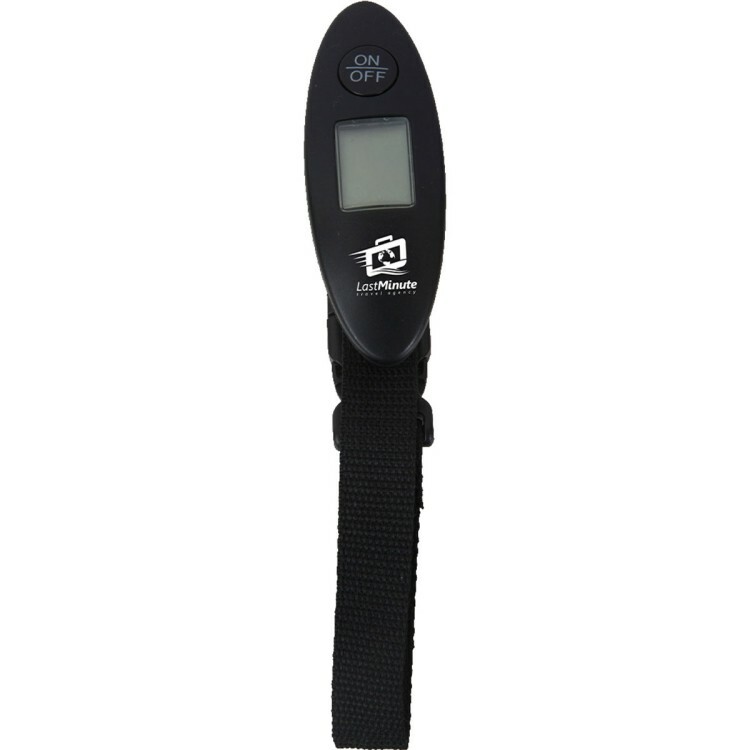 Includes indicators for overload and low battery plus it has a blue backlight for easy viewing. 2 AAA batteries are included for added convenience. Ideal for frequent business travelers!